I’ve got too much stuff. The trickle-down effect of my father cleaning out his house is that I am forced to clear out mine. I love getting rid of things almost as much as I like getting new things. My husband thinks I am missing the sentimentality gene, but I disagree. When push comes to shove I am just not that attached to material things. My father is the anti-pack-rat. Nothing collects dust in his house. If you leave a glass on the counter for more than two minutes it is quickly put into the dishwasher when you’re looking the other way. He is on a mission to rid himself of all things superfluous. I admire this – it’s quite Zen of him. My sister jokes that he will soon just have the clothes on his back and his car key. He makes daily visits to dumpsters and Good Will. I get regular visits when he brings things he thinks might hold sentimental value for me. He called me to ask about my late mother’s voluminous and meticulous medical files. “Get rid of them,” I said. While keeping notes gave my mother a feeling of control over her various ailments, it would just make me sad to look through those piles. Why remember the bad things in detail? I know the basics of her medical history as it might pertain to me or my children. Beyond that, what does it matter? I keep only scant records of my special needs son’s medical and educational journeys. I don’t want to read back on years of schooling and testing to remind me that his life has been hard. I don’t care to remember the annual school planning meetings, various testing, and assessments. I keep things that make me remember the good times of his life so far, not the mediocre or painful. We’ve cleaned off the bookshelves – no one wants to read an old book with yellowed pages. We got rid of the crib and the highchair, though my husband objected. Really? Our “baby” is almost eleven. Carpet remnants, old paint, old toys, out of style clothes – gone. Looking through a box of things from my childhood, I found a small bean-bag stuffed animal – a frog – with a missing button eye. “Do I save something if I have no recollection of why I kept it?” I asked my husband. 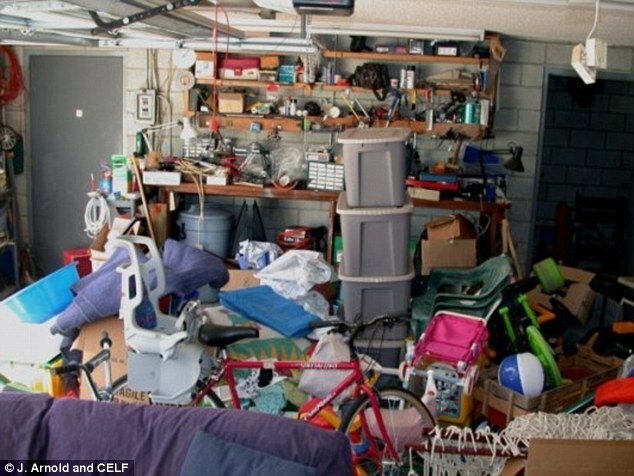 “Maybe you can find someone who can help you remember,” he answered, generally erring on the side of caution when it comes to getting rid of things. I’ll keep it for a little longer in case the memory comes to me or I find someone who can fill in the missing piece, although I’m not sure who that might be. If not, out it goes. I actually feel lighter when I look around my house after a good purging. I see things that are being used and enhance my life instead of feeling bogged down by remnants of the past. It’s only stuff. Lighten up. This entry was posted in Family and tagged cleaning out, clutter, disabled child, Family, stuff. Bookmark the permalink. We are currently making space in our home for a “portable” sewing machine from the 1940s that we inherited from my wife’s grandmother at least 20 years ago. It is inoperable, weighs about 30 pounds, and has never been touched by anyone in our house except me on those occasions when I have had to lug it from one dusty storage area to another. It has followed us (or rather, been hauled by us) through 3 house moves. Efforts to remove it from our possession have been met with disapproval. The frog seems significantly less obtrusive. Still . . . if it were me, I’d dump the frog. When we sold our home in Silver Spring, we had a month to get rid of 30 years worth of stuff (and that is precisely what it was). It was truly freeing to start anew in our condo….. I call my husband disposable Dave, if you haven’t used something in a year- get rid of it he says. I am not as easily persuaded. Love your writing and thoughts, keep on sharing your gift! you are inspiring me… time to purge again! !